Ryan Morgan (right) via Facebook. Everyone knows the age-old saying that when a door closes, another one opens. In the case of Fort Thomas resident Ryan Morgan, those doors just happened to be bakeries. But not just any bakery. Morgan is the owner of Sixteen Bricks ArtisanBakehouse, which provides bread items for many of the area's top culinary hotspots. Morgan built the Sixteen Bricks bread empire from the ground up beginning in 2012 when he took over Sweet Williams bakery, which had been owned and operated by his mother and step-father. His parents had attempted to move Sweet Williams to another location, but the move had proven to be more difficult than expected. “You know, when you move a bakery it's down for a couple of weeks, so they ended up going out of business actually. It never was able to come back to what it once was. She tried, and tried, and never let go of the bakery. It was a thorn in her side, basically,” said Morgan. At the time, Morgan had a solid six-figure job Johnson & Johnson, and originally wasn't willing to give it up to become a full-time baker. However, Morgan and his brother decided that it was best to give their parents a break, and they took on responsibility of the bakery and changed the name to Sixteen Bricks. Opening a new bakery is easier said than done. When Morgan's brother accepted a new job, Morgan was left to build their bakery himself. This sometimes meant grueling 20 hour days, and solely dealing with any obstacles that accompany the launch of a new business endeavor. When asked what the most difficult part of launching a new bakery was, Morgan's answer was simple: everything. “There were times when I was sitting here, and didn't have anything to eat but peanut butter and a baguette. I was counting change thinking, 'Should I put this gas in my car so I can go home, or do I sleep here so I can put gas in the delivery van and get bread to the customers?' And inevitably I would be sleeping at the bakery. There were a lot of new business trials and tribulations,” said Morgan. In the early days of Sixteen Bricks, Morgan running the bakery alone. He did have a delivery driver to help distribute the bread, but all the baking and administrative work were on Morgan's shoulders. This meant that he personally dealt with every aspect of running a company – the good and the bad. 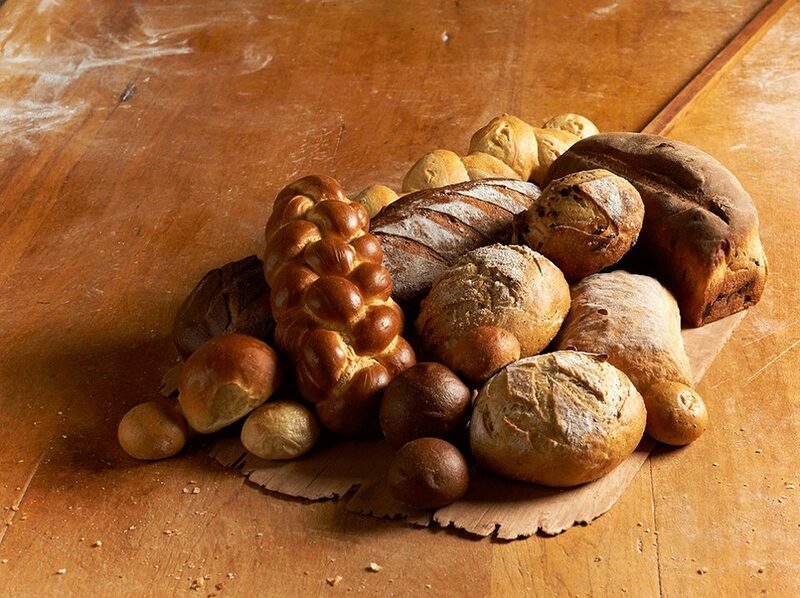 “When people didn't like the bread, they called me directly to complain about it. Going from a high paid salary job at Johnson & Johnson to basically being poverty stricken to do this bakery was difficult. Building a name for myself was very difficult,” said Morgan. 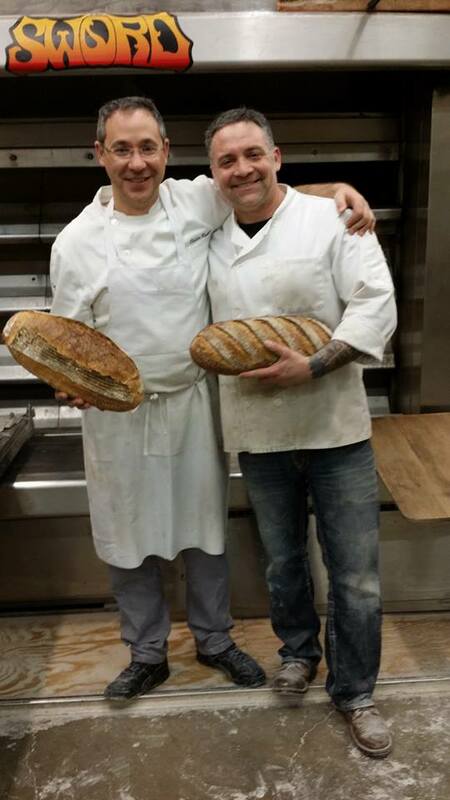 Morgan's passion for bread and the creative aspects of being a baker are what keep him motivated each day. “The ever-changing crazy life of a bakery – there's nothing about it that I don't love. I love the smell of sourdough when it comes out of the oven. I have a whole crew that works for me. There's about fourteen of them that work here. You know, training them and growing them to be better with their life and the bakery is something that I'm extremely passionate about. Those are some of the things that really keep me going, so to say,” said Morgan. Morgan's hard work and determination has definitely paid off. Along with their bakehouse located in Cincinnati, Sixteen Bricks bread can be found in 52 restaurants throughout the area. The success of Sixteen Bricks is not only a testament to Morgan's dedication to the bakery, but how Morgan was able to create meaningful relationships with some of the major figures in Cincinnati's culinary landscape. “One of the biggest things that ever happened was that I got introduced to Todd Kelly at Orchid over at the Hilton. Todd was one of my very first customers, and he was one of the people that really pushed me to do more. He kept pushing, and pushing. And that's when we became Sixteen Bricks is when Todd kept pushing to me to do more sales and make more bread, and it was a really nice thing,” said Morgan. Those types of relationships are what helped to bring Sixteen Bricks bread to many of the area's top restaurants. If you've enjoyed a meal recently at Red Feather, Maribelle's, A Tavola, Bouquet, Orchid, or Lachey's Bar, then you've likely had some Sixteen Bricks bread with your meal. “There's nobody that I'm not super proud to be with,” said Morgan. One of Sixteen Bricks' recent additions to their client list is the newly-opened 15 North in Fort Thomas. “He (15 North owner Ed Gossman) had been looking for an artisan baker here, had tried my bread, and reached out to me luckily. We got together, he tried some bread, talked ovens,” said Morgan. The 15 North owners and Morgan hit it off right away, and their collaborative spirit helped to make for a perfect partnership between the two businesses. “We're very happy to be able to provide for them,” said Morgan. Morgan is especially excited about adding 15 North to his esteemed roster of clients for many reasons. He is a supporter of local businesses, he values his relationship with 15 North's owners, and he has a deep appreciation for the city of Fort Thomas in general. When Morgan was struggling to get Sixteen Bricks off the ground, his grandfather offered up his Nob Hill home to Morgan and his young son. “Because I was struggling so much back then, he had me move into his home. I was lucky enough to get to move into his place, and have since purchased it. That was some of the backing that I had was getting to move into his place while I built this bakery. He was a great man,” said Morgan. Morgan's grandfather was a prolific inventor, most notably for a chemical used in perm hair treatments. According to Morgan, “He was a great genius of a man.” Morgan's grandfather not only helped him in a time of need, but also instilled in him many important values that he carries with him today, including charity work and the importance of giving back to your community. “He always did a lot of donations to the Fort Thomas community, and it's important to me to carry on that tradition,” said Morgan. Additionally, Morgan's appreciation for the Fort Thomas community is evidenced in the fact that Fort Thomas is the only Farmer's Market that he participates in each week. Sixteen Bricks has some exciting new products that will soon debut at the Fort Thomas Farmer's Market, so be on the lookout for them next time you're perusing the booths for delicious locally grown food. I went up to the market yesterday at 3:15 and sixteen bricks was not there which was very disappointing. It is unfortunate that Blue Oven is not participating at the market since they had a variety of baked goods, croissants, English muffins, pretzels in addition to artisan breads. In the end not having a strong anchor for the market such as Blue Oven hurts the other vendors. I hope sixteen bricks decides to expand their product line and is at the market each week regularly and can attract as many followers as Blue Oven.